Origin of name  Nicholls and Crook were both surnames of early owners. Current status  The home was recently operated as a bed and breakfast but is now simply a residence. 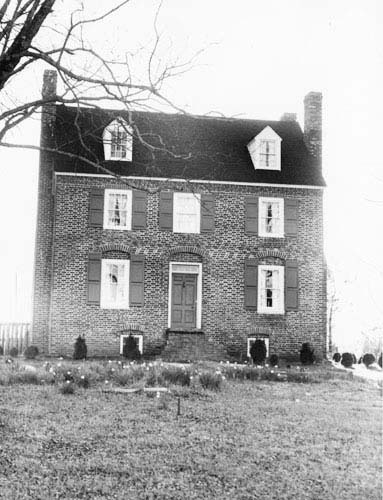 Circa 1793  Virginia native Thomas Williamson obtained the property (2 and 4). 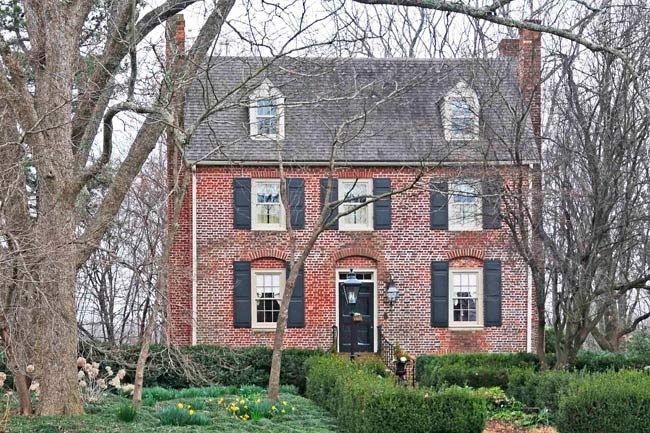 Thomas Williamson built the Flemish bond brick house that still stands today. 1813  Thomas Williamson died and the plantation was sold to Jesse Crook. Crook's wife Katie was the daughter of Revolutionary War heroine Kate Barry (3).
?  The plantation passed to the Crooks' daughter Katie and her husband George Nicholls (3).
?  Katie and George's son John Moore Nicholls became owner (4). Late 1800s  The plantation became vacant and the house was left to deteriorate (2). 1900s  The plantation belonged to the Bryson family who continued to grow cotton on it (3). 1962  The property was subdivided and sold at auction. Much of the property was sold and developed into a golf course. However, the house was not purchased and remained abandoned (1, p. 5 and 2). Late 1960s  Robert S. and Bedie P. Overman purchased the house and fully restored it (2). 1987  Jim and Suzanne Brown purchased the house and transformed it into a bed and breakfast (2). The original 1973 two-story brick house still stands. There had been wood-frame additions added to the house in the late 1800s but those no longer exist. The house suffered fire damage that was repaired. The house has also been remodeled (1, p. 2).